Part of the designer's New Warriors line. Jun Takahashi's latest collaboration with Nike is a bit of a departure from last year's Undercover React Element 87s. 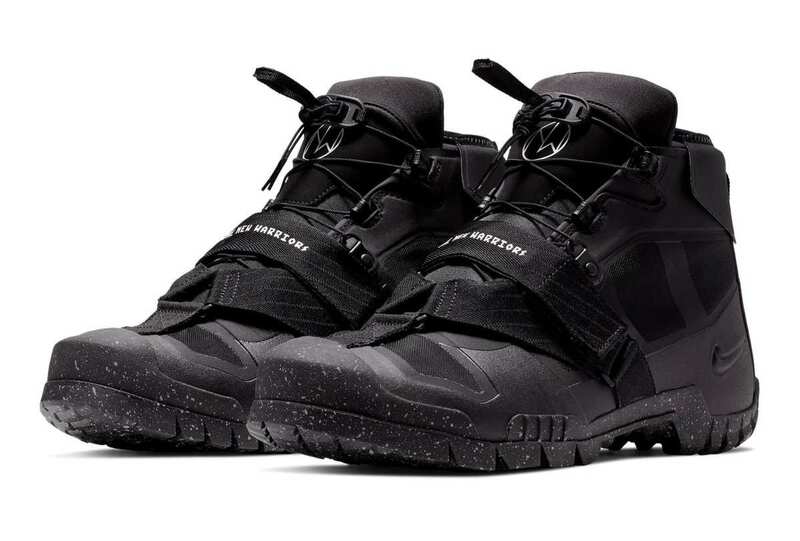 Part of Undercover's New Warriors collection, the new style is based on the SFB Mountain, a military-inspired trail boot. Also inspired by Nike co-founder Bill Bowerman's service in WW2, the SFB Mountain boots are built to take on any terrain and feature mesh and midfoot straps and a quick-lacing toggle system to easily adjust and loosen the fit.